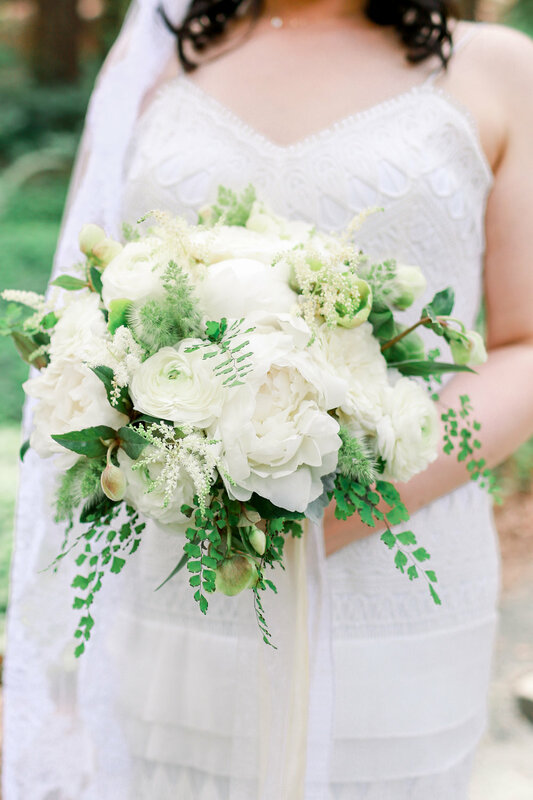 Samantha and Dima’s wedding had all the elements of a fairytale-come-true. 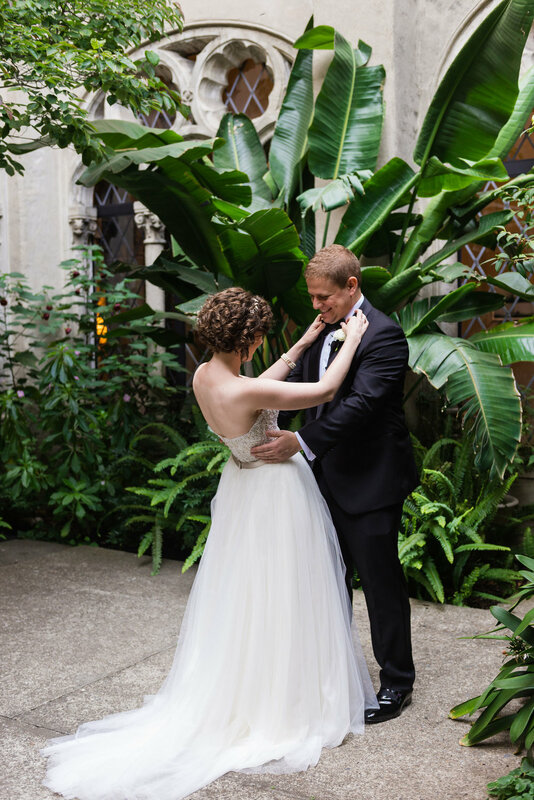 Sheer voile was draped on every inch of the terrace used for the ceremony, the chuppah, ballroom, and bouquets were practically dripping with blush and ivory roses, and Samantha’s dress was a gorgeous A-line sweetheart dress with a skirt full of soft tulle layers. 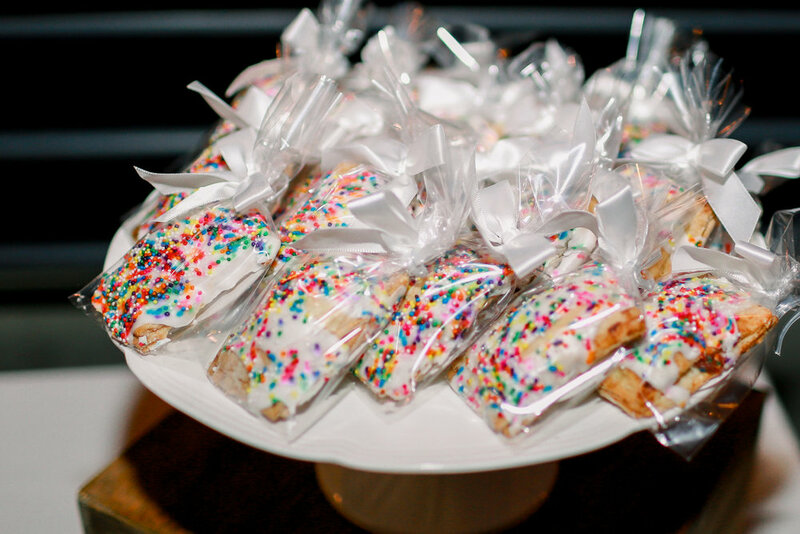 Even the cake was from a bakery called Glass Slipper Gourmet - I mean, come on, how cute is that?? 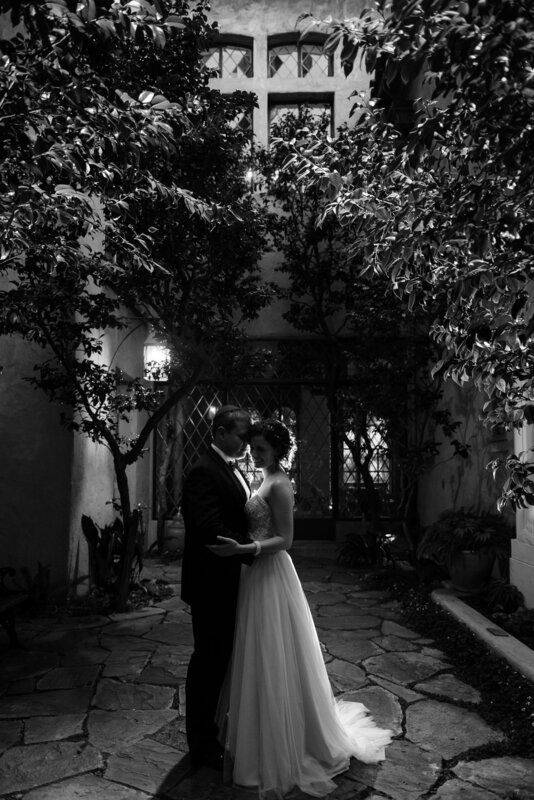 Every element was romantic to the core and the Berkeley City Club provided the perfect backdrop. 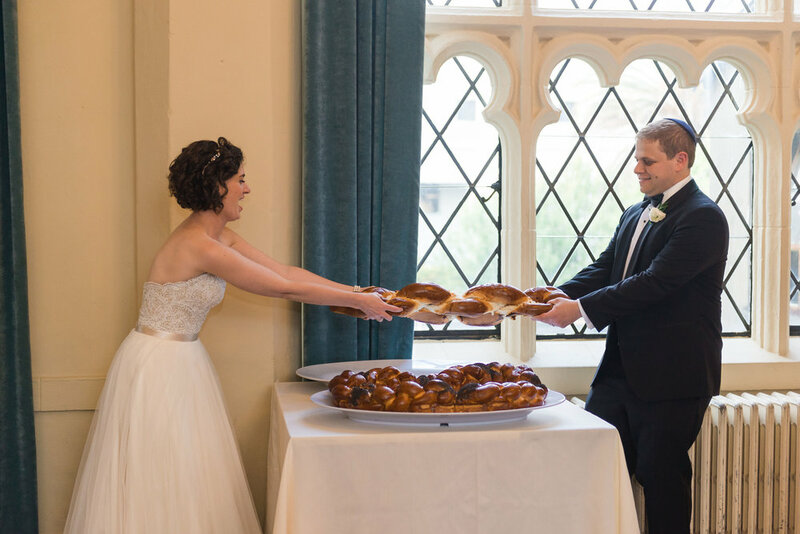 Take a peek at the pictures below for cute details like Sam and Dima’s names written into the challah they pulled apart to start dinner; a nod to Dima’s Russian heritage with a ‘Napoleon’ style cake; and a chess board groom’s cake (‘He Captured His Queen’). May and Reilly’s wedding was one of my favorites from 2018 for many reasons. The first is that May was one of the most laid-back brides I think I’ve ever had the pleasure of knowing, and yet she has exquisite taste. 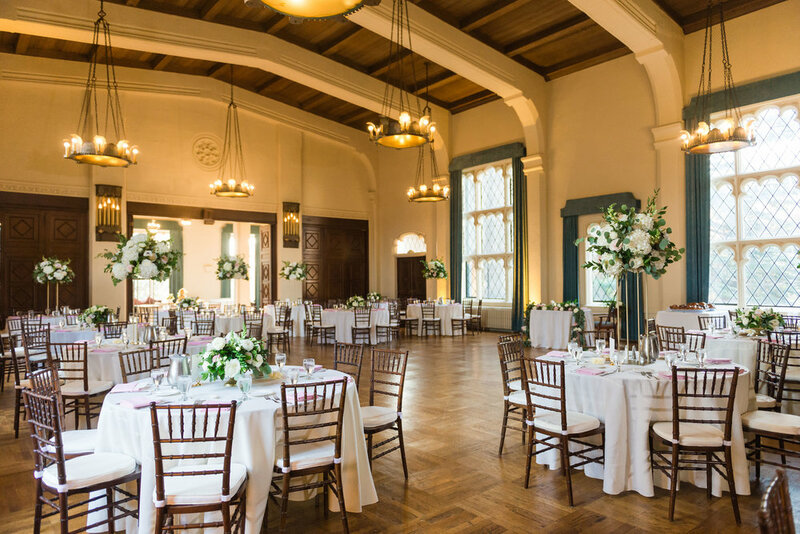 She had so many wonderful ideas to bring even more beauty and class to the Julia Morgan Hall (window boxes dripping with flowers hanging from the walls! Plates and goblets with just a slight touch of gold! Not one, but two boho chic wedding dresses! ), and yet each decision was made as casually as what she was going to have for lunch during our planning meetings. 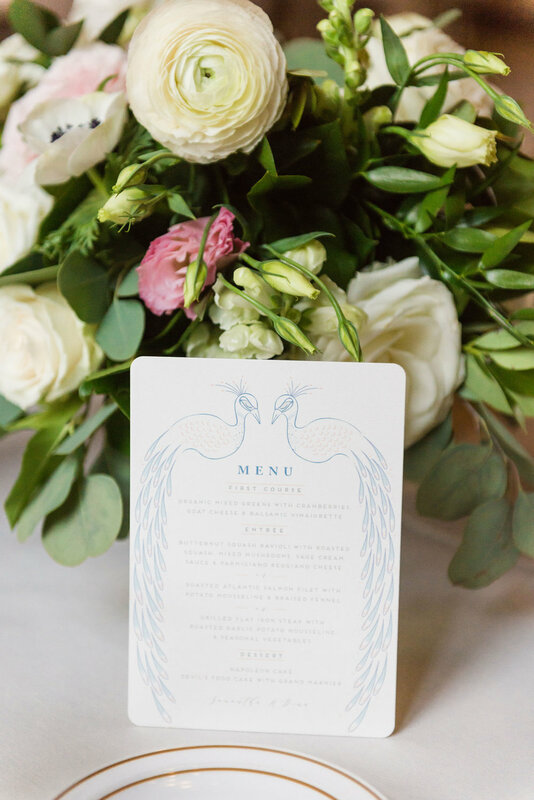 The second reason that I loved this wedding was that every single vendor that worked alongside me was a trusted friend and colleague, which made the entire day run so smoothly that it was an absolute dream day for everyone involved. 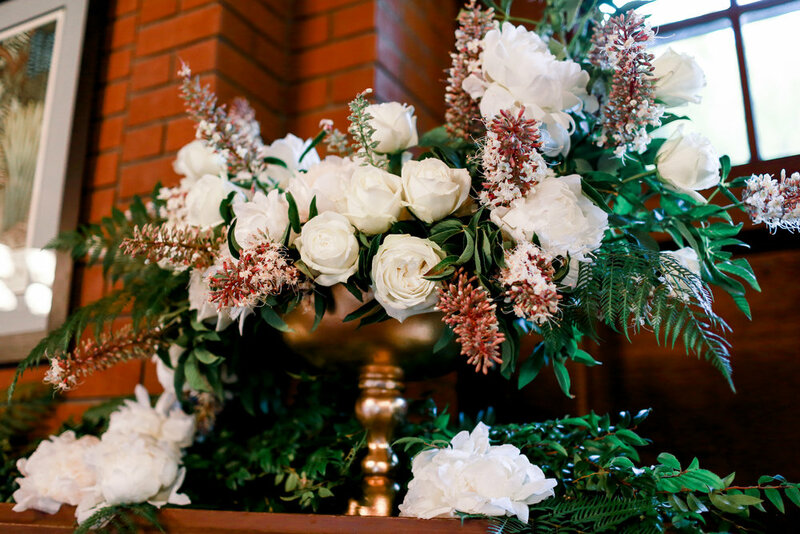 When we wedding professionals meet another vendor that we trust, respect, and enjoy working with, we wholeheartedly endorse them for future weddings, which becomes a win-win situation for all involved. This wedding was proof that when we all work together to make a couple’s vision come to life, the outcome can’t be anything but complete perfection. The 2018 season started with a stunner of a wedding for Mia and Richard. 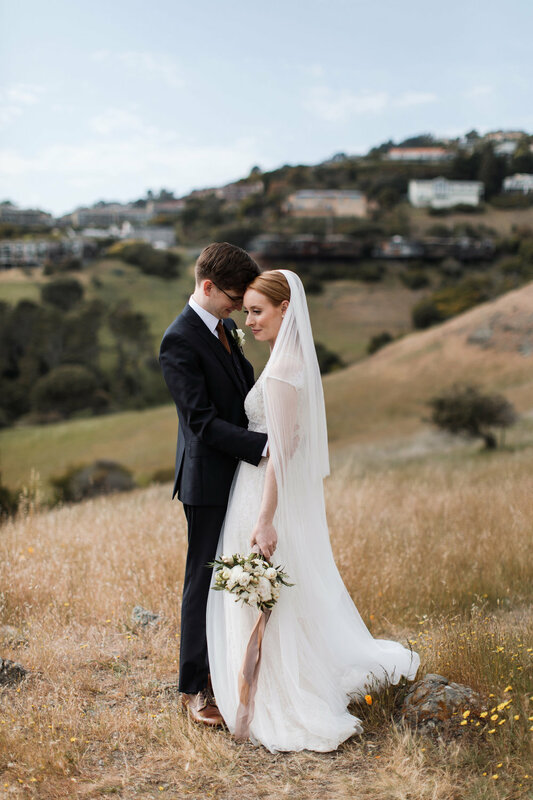 The weather in the Bay Area in May can be finicky, but their wedding weekend had blue skies and gorgeous views for miles from the front steps of Old St. Hilary, the ceremony venue, in Tiburon. 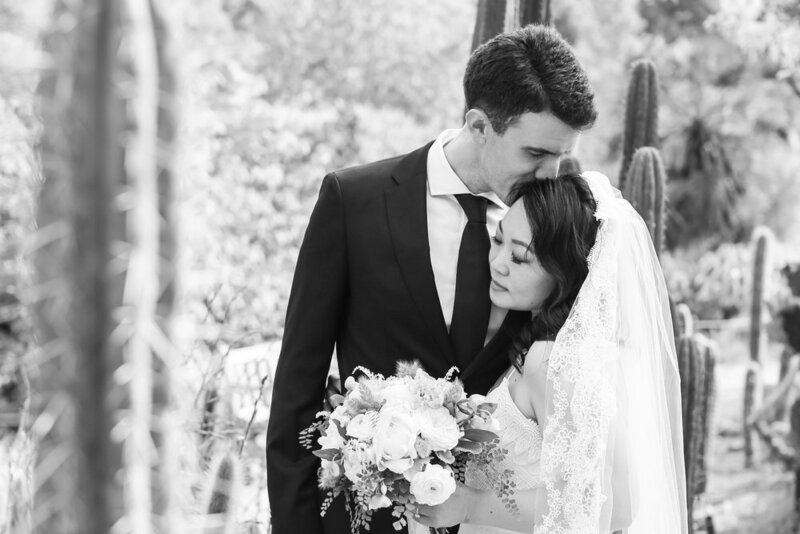 Mia and Richard are both quietly classy and that’s exactly the tone that their wedding took on; it was intimate, with each detail perfectly thought out and executed. 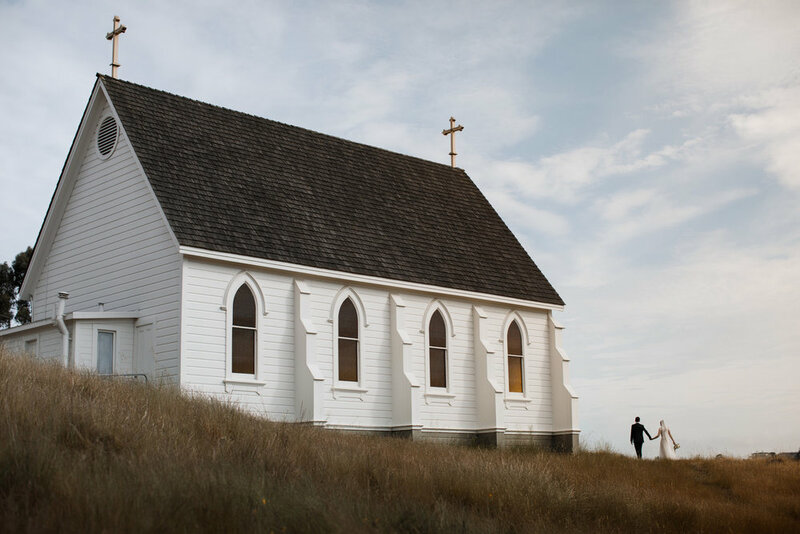 Some of my favorite moments from the day were captured beautifully by their photographer, Sebastien Bicard: the ‘first look’ of Richard singing a song to Mia, how the austere simplicity of a chapel and field of tall grass can transform to a blog-worthy backdrop for couple portraits, and the homey warmth that was felt at both the ceremony and reception, thanks to dark-paneled walls and an intimate setting. 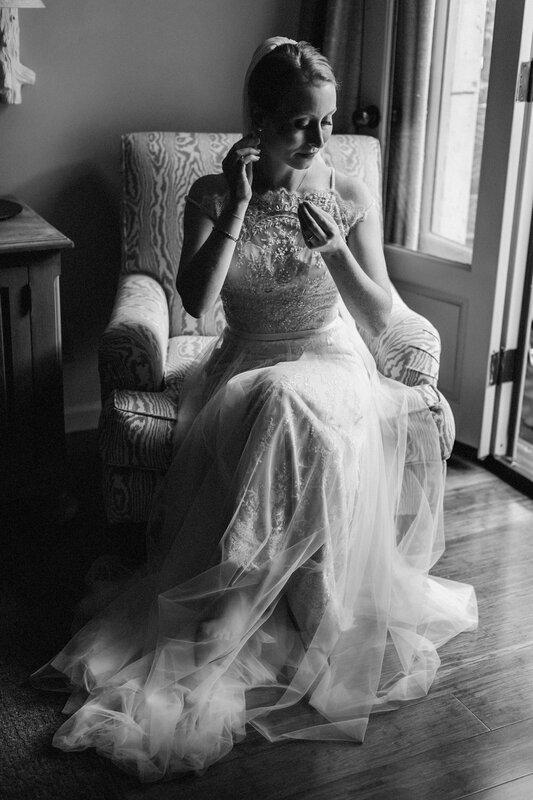 Sebastien’s photography takes my breath away and his style is one that isn’t seen very often in wedding portraiture - shadows and darkness are enhanced, which in turn actually call attention to the gorgeous details of Mia’s dress and earrings, for example. 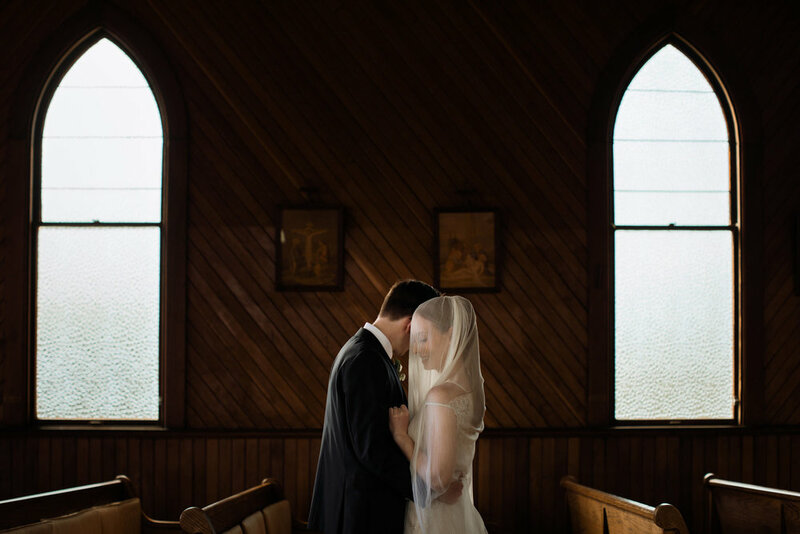 These pictures are a dream come true both for a couple looking for portraits that last a lifetime and for a planner that wants to showcase how a venue can turn from just an empty space to all of the dreams and visions of a perfect wedding brought to life.